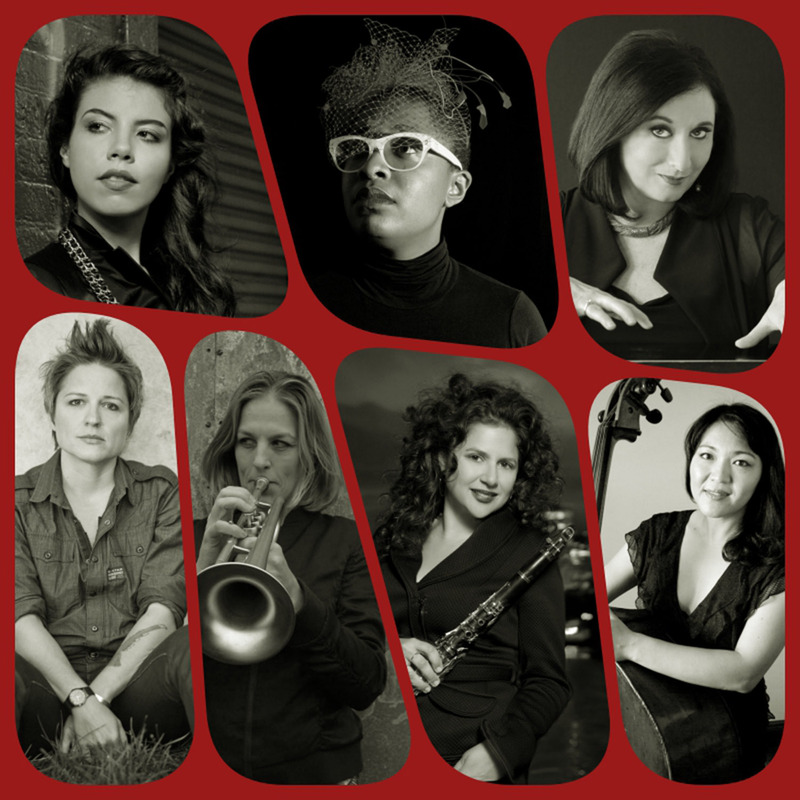 Renée Rosnes (artistic director, piano); Cécile McLorin Salvant (vocals); Anat Cohen (clarinet); Tineke Postma (saxophone); Melissa Aldana (tenor saxophone); Ingrid Jensen (trumpet); Noriko Ueda (double bass); Allison Miller (drums). Eight female performers join forces in the group project Woman To Woman!, and they are the cream of the cream. One of the most highly regarded pianists and composers of her generation, Renee Rosnes, leads a unique formation with an eclectic repertoire. Cécile McLorin Salvant is the vocalist of the group. She is fast becoming a star; last year she won several major music prizes, including a Grammy Award and an Edison Award in the Netherlands. Bassist Noriko Ueda and drummer Allison Miller form the brilliant rhythm session. And the brass players have a prominent role with the fantastic quartet comprising Ingrid Jensen, Anat Cohen, Melissa Aldana and Dutch Tineke Postma. Besides their solo projects, these ladies have played with various great artists like Danilo Pérez, Esperanza Spalding, Wayne Shorter and Joe Henderson.